W-110 is a line array system which is made of one 10” neodymium woofers, two 1.75” titanium neodymium compression drivers and high-performance low-distortion compression driver with innovative horn design of waves phase philosophy. 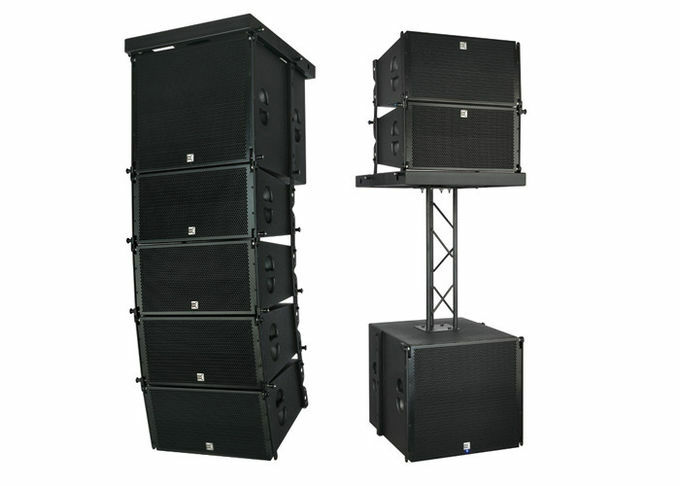 Wherever low frequency extension is required, a W-110 will integrate seamlessly with W-118 or W-118P line array sub-bass system in a standard configuration. Each enclosure is equipped with rigging system, allowing flown array to be constructed rapidly and safely. W-110 is very versatile and scalable for a wide range of applications in touring performance, corporate and fixed installation fields. 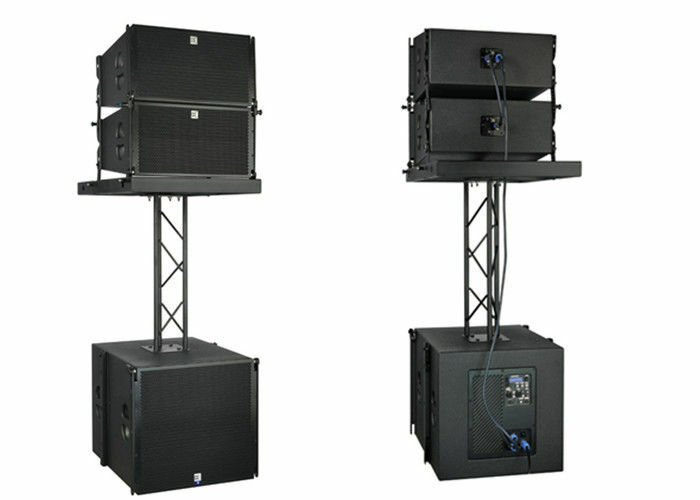 W-118/W-118P is dedicated high performance sub-bass system designed to augment the low frequency output of the W-110, W-118/W-118P is a sub-bass enclosure which must be flown with W-110. Its physical dimensions are identical to the W-110 and it is equipped with the same proprietary rigging system. It features with a 18” neodymium woofers with magnet structure and suspensions engineered for maximum linear excursion. The W-118P with Bluetooth features a highly efficient power amp module and incorporated DSP. CVR PRO-AUDIO,LET YOUR EARS BE THE JUDGE ! Guangzhou CVR Pro Audio Co., Ltd is specialized in researching, developing and manufacturing high quality pro audio equipment.Boasting talented professional employees and leading technology, we manufacture and supply a compreh ensive range of professional equipment including line array system, proloudspeaker, subwoofer, minitor speaker and power amplifier. CVR pro audio products have been far sales to over 100 countries abroad,enjoying high reputations and popularitys.Our own modern industrial factory occupies over 5000 square meters, equiped with advanced processing lines and sound online testing systems. R&D department, production, QA, engineering, overseas sales department, domestic sales department and aftersales service are all running well under strict management constructive guidelines. To get the best goods with least money is not only customers favorites,but also CVR's target. Quality Wood Enlosure: Birch Plywood and Plywood. Detailed cutting and Design: Proffessional design for driver,frequency divider,tweeter, horn and cabinet. Environment protection spray-paint: nontoxic water paint which is environment protected and werable. Strictly test before delivery: All products are under the examination of our engineer team before dilivery. Strong packing: Quality carton boxs with firm belt and flight cases are required. Fast lead time: Sample order in stock and normally within two weeks for bulk production. Good After-sale service: All products have one year warranty and lifetime follow-up service.Parts will be free from maintenance within warranty period. Any inquiries will be replied within 24 hours.